An early morning full-moon on the beach. The picture quality isn't great but that's to be expected at 5:00 am when the shot was taken. I was going out for a morning run (the first in a few weeks after recovering from an injury) and happened to spot the moon shining bright. We all know that when we take pictures of the moon with our cellphones, it is never close to what we want. 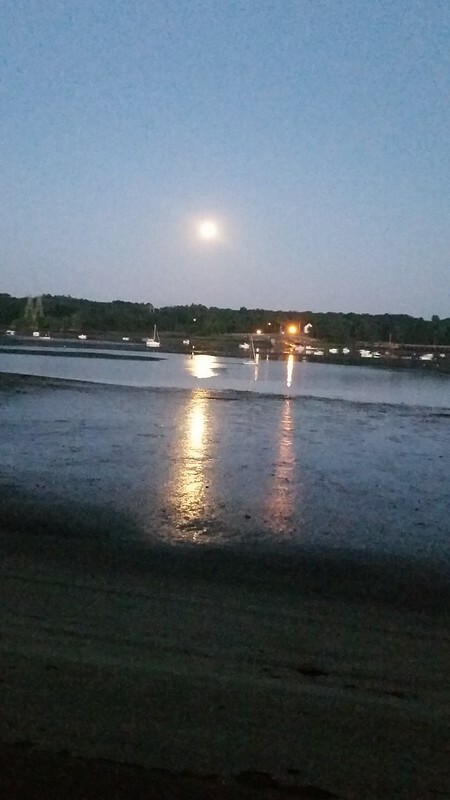 However, though I didn't get the detail of the moon that I tend to see with my eyes, I loved how it's brightness reflected in the water on the beach. In that way, it does remind me of the sun and I supposed if I used a black and white filter, one might not know the difference.